Vehicle wraps are one of the latest and the highest impact outdoor advertising medium for businesses nationwide. Vehicle wraps, and specifically contractor truck wraps, provide the edge in providing necessary exposure of your business to prospective buyers. According to the Transportation Advertising Council, vehicle advertising generates 30,000 to 70,000 daily impressions per wrapped vehicle. At Apple Graphics, we use only the best high performance wraps, and all long term applications are guaranteed to last an extended period of time. At Apple Graphics, we understand that your contractor truck wraps will benefit from the cost-effective advertising that a wrap provides. Our dedicated team of award winning graphics designers has over 13 years industry experience. Whether you have a need for outstanding custom graphics, logo design, or even 3D rendering, Apple Graphics designers can create the perfect custom image graphics to get your business noticed. According to the Interstate Advertising Corporation, approximately 74% of motorists are positively influenced by companies and products advertised on trucks. 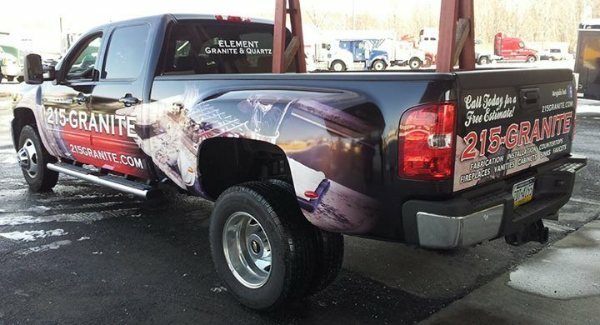 The American Trucking Association claims that by advertising your contractor truck with a custom wrap, your business can potentially generate more than 600 views for every mile driven. Apple Graphics will work to ensure that your contractor truck wrap is designed to your satisfaction, and we will also assist you with any questions that might arise. 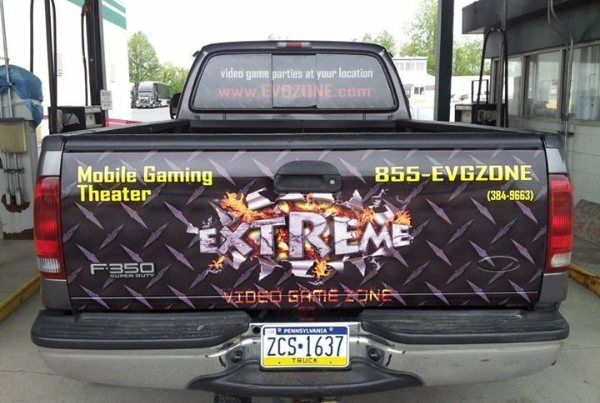 At Apple Graphics, we understand that a vehicle wrap is an incredibly powerful advertising tool for businesses. This builds brand awareness, sales growth, and positive marketing. Our goal at Apple Graphics is to build vehicle wraps that stand out and get your business noticed. It is incredibly valuable to effectively market your business in a competitive environment. Our team has the experience and knowledge to help you achieve your impact advertising goals.